Okay, contest thing. A rhino, who does science, must fight someone who thinks they are on fire [but are not]. Ensuing of hilarity, etc. 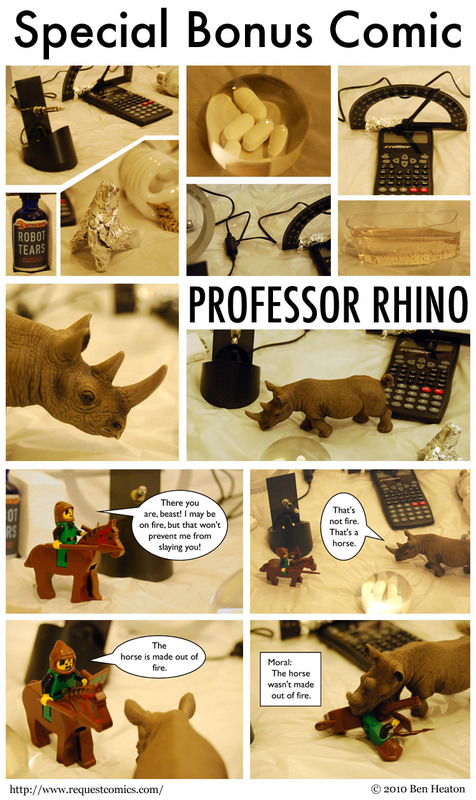 Other moral: Professor Rhino should never have dared to play God with her experiments.